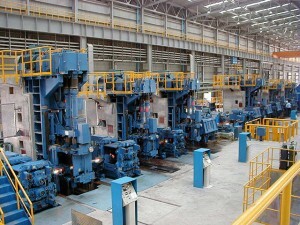 Rolling mills for the production of straight bars of different shapes and dimensions 8-100 mm. It can be rolled round cross-sections, as well as standard and special profiles. Advanced rolling technologies enable highly efficient manufacturing processes, making sparing use of available resources. Many varied production lines as Wire rod outlets, Spoolers and Garret coiler lines can be connected on bar mills.